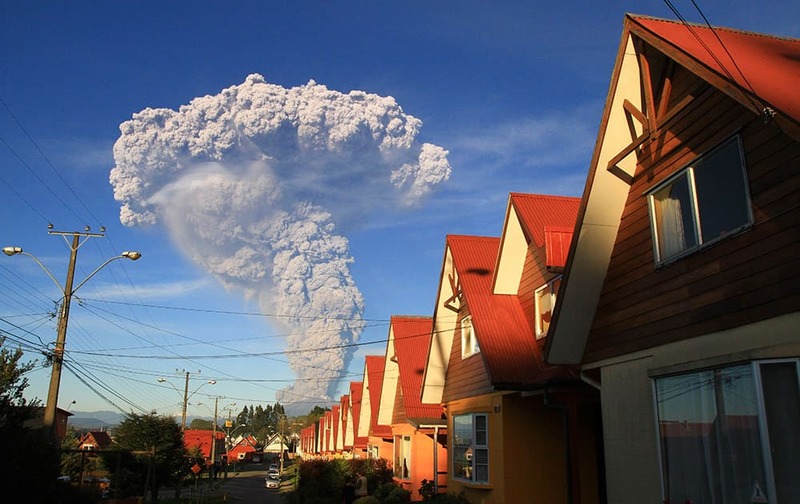 The Calbuco volcano erupts near Puerto Varas, Chile. 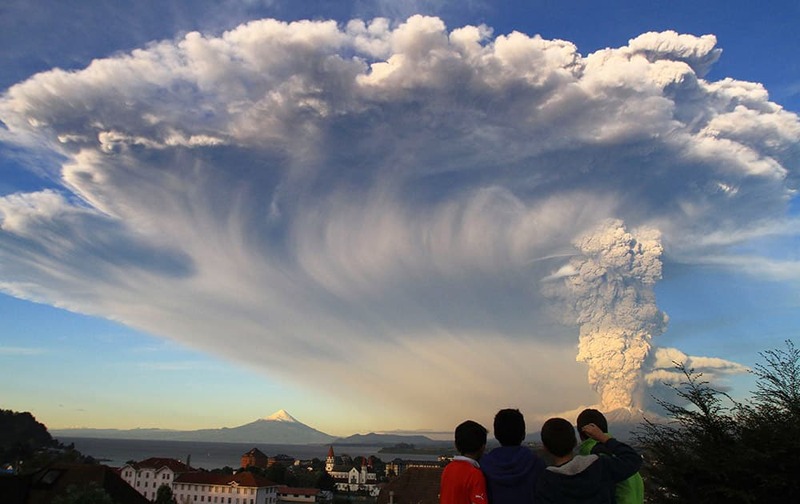 The volcano erupted Wednesday for the first time in more than 42 years, billowing a huge ash cloud over a sparsely populated, mountainous area in southern Chile. 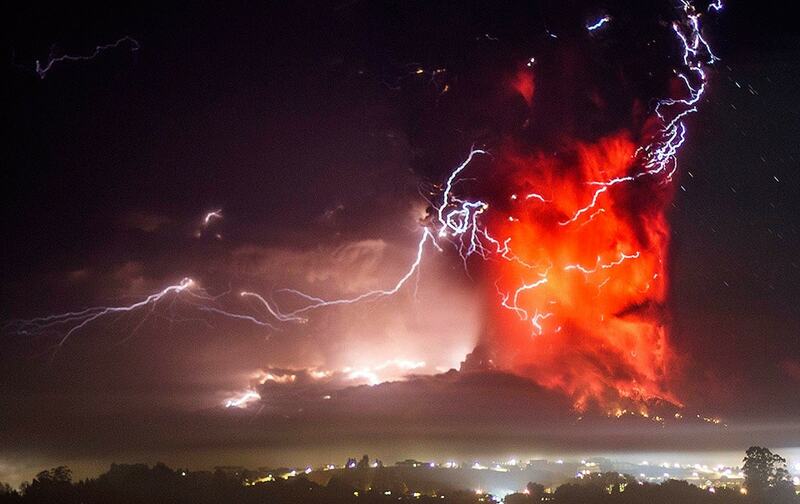 The Calbuco volcano erupts near Puerto Varas, Chile. 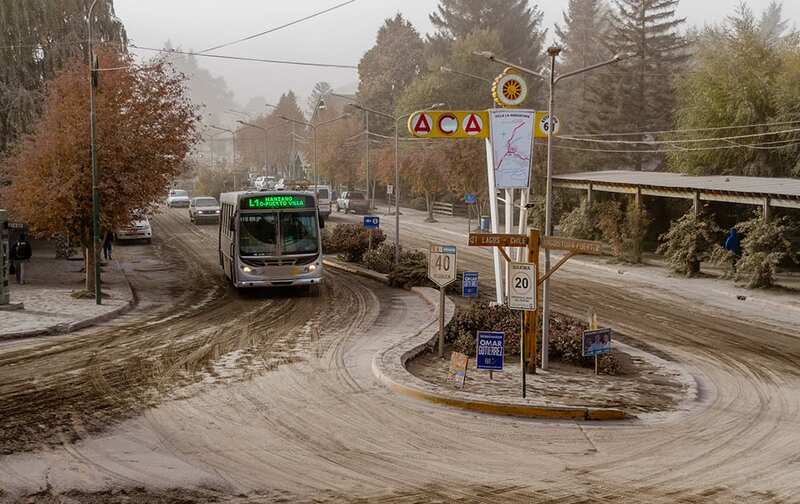 A bus drives along an ash covered road, caused by the eruption of Chile's Calbuco volcano in Villa La Angostura. 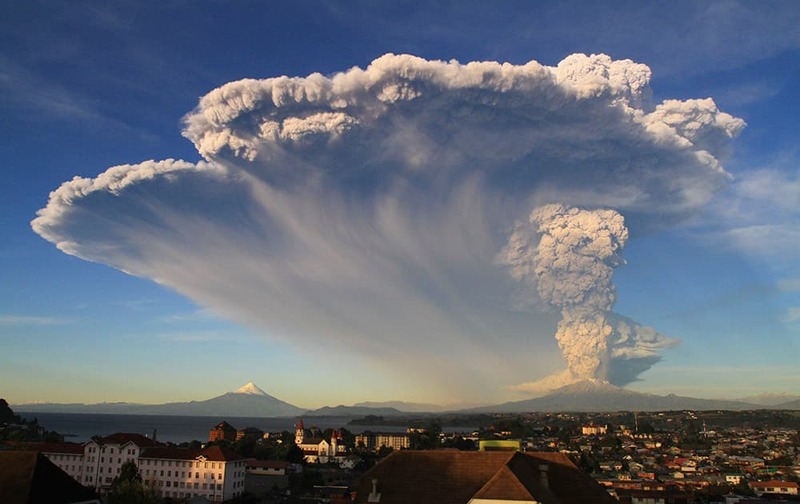 The Calbuco volcano is seen erupting from Puerto Varas, Chile. 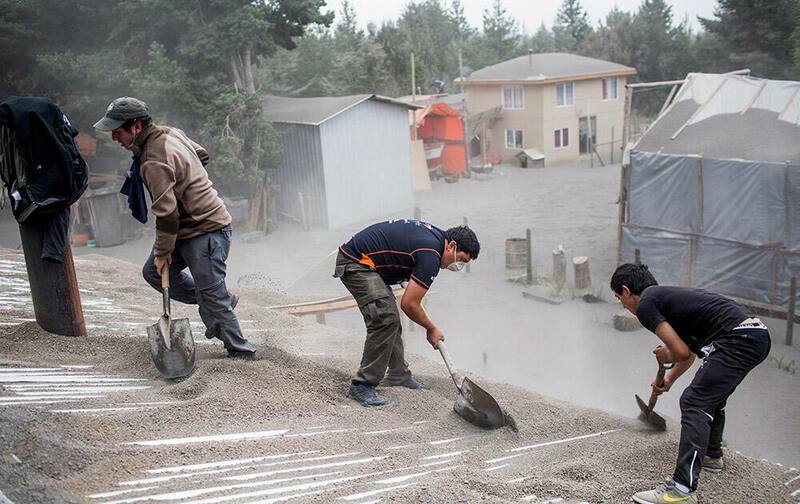 Men remove ash from a building's roof, left by the Calbuco volcano, in Ensenada, Chile. 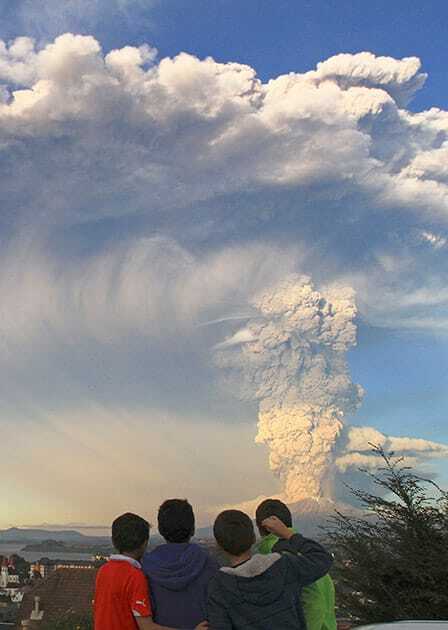 Children watch the Calbuco volcano erupt, from Puerto Varas, Chile. 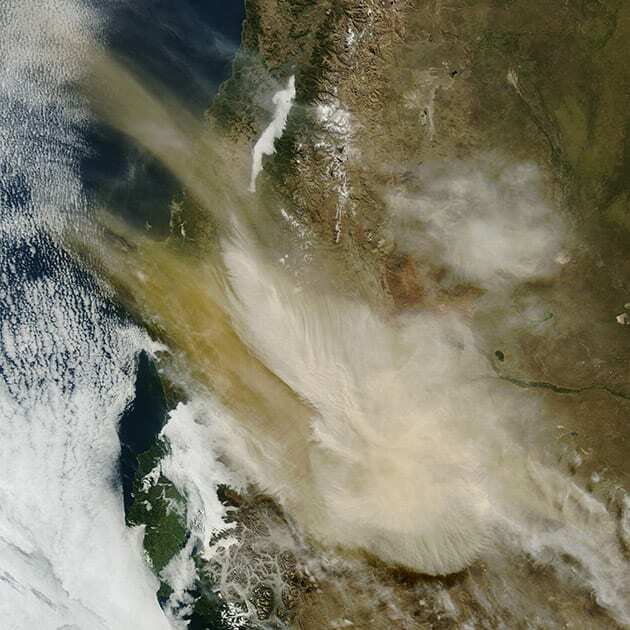 This photo provided by NASA’s Earth Observatory shows an image taken by the Moderate Resolution Imaging Spectroradiometer on NASA’s Terra satellite of an ash plume coming from the Calbuco volcano in Chile.